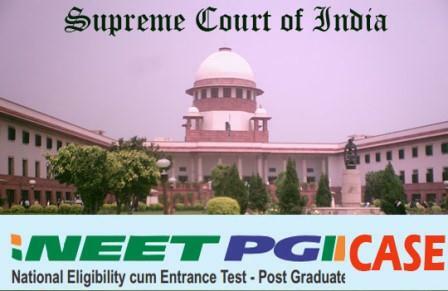 NEET PG SC Hearing Updates on 13th Feb 2013 - AcrossPG Exams! NEET PG case (T.C. (C)No.98/2012) is listed as Item no. 1 in the Supreme Court final cause list for Court no.1 (Chief Justice’s court) today on 13th Feb 2013. [2:30PM] Arguments about Aided Minority Institutions are over. Arguments on behalf of Unaided Medical Institutions is on by Mr KK Venugopal ( KKV ). Also Please participate in this Opinion Poll!!! What's your opinion about NEET PG verdict being declared on 13th Feb 2013?